Apple and Google have both made considerable efforts for their digital assistants to work out of the box and their user-friendly approach has obviously paid off. Siri and Google Now are both excellent services and the fact that they can understand anyone as soon as they pick up a phone just shows how far these systems have come over the past decade. Of course, understanding every human being perfectly is an impossible task right now which is exactly why both services and their underlying technology get better each time you use them, especially if you train them for a bit too. Training Siri is only available on iOS 9 and it should work on all supported languages, not just English. 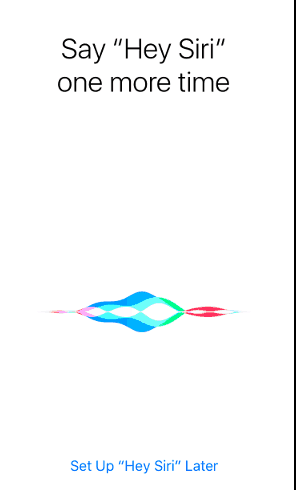 The training commences as soon as you activate “Hey Siri”, the feature that allows you to activate Siri without pressing the home button, as long as your phone is plugged in or your screen is turned on. In the iPhone 6s, users can also choose to activate Siri when their devices are off. The feature can be accessed via the Settings > General > Siri menu. Activate the “Hey Siri” toggle and you will be asked to say a few phrases like “Hey Siri” and “Hey Siri, how’s the weather today?” which should instantly improve recognition. 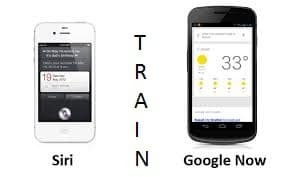 Google Now can be trained in the exact same way as Siri, meaning you will need to enable its use from any screen. Go to Settings > Language & input > Voice input an enable the “Enhanced Google services” toggle. Then, tap on the Gear icon next to it, go to the “OK Google” detection menu and turn the “From any screen” toggle on. You will be asked to repeat “OK Google” three times in order to make sure the assistant can understand you. If you are not happy with the results, tap on the “Retrain voice model” option at the bottom of the page. With that said, Google does things a bit differently as its digital assistant heavily relies in all voice input in order to improve itself. 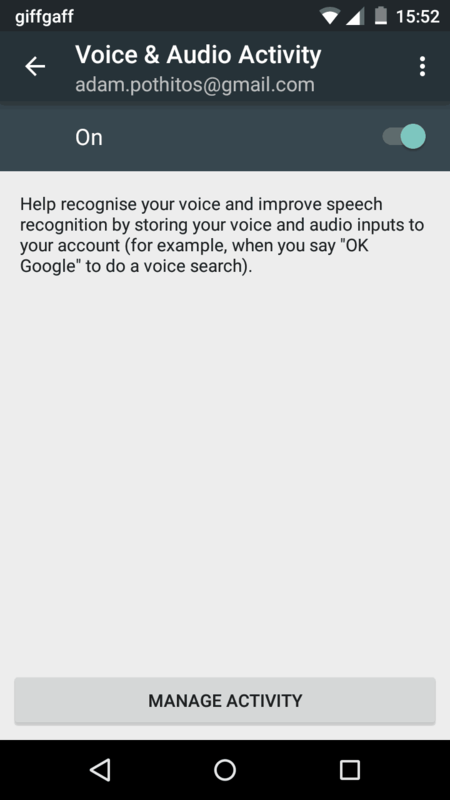 That means Google uses your voice searches, commands and dictation sessions in order to improve speech recognition, a setting that is enabled by default in most devices. The information gathered by Google is kept to your account and it can be managed or disabled in the Voice & Audio Activity section of its Account Settings. You can also disable the feature via the Google Settings app. After you launch it, go to Personal info & privacy > Activity controls and turn the “Voice & Audio Activity” feature off.